E3 just wouldn't be the same without Ubisoft's press conference. The talk will be no doubt be focused on the power of online gaming, mutli-screen shenanigans with phones and tablets, and producing innovative gaming experiences. That's all code for "hey, look, this is how the new Assassin's Creed won't run on your console". They're normally relatively entertaining presentations, however, and we have an excuse to show it live on Nintendo Life. EA and some others may not be releasing games on Nintendo hardware, but Ubisoft has never fully walked away. 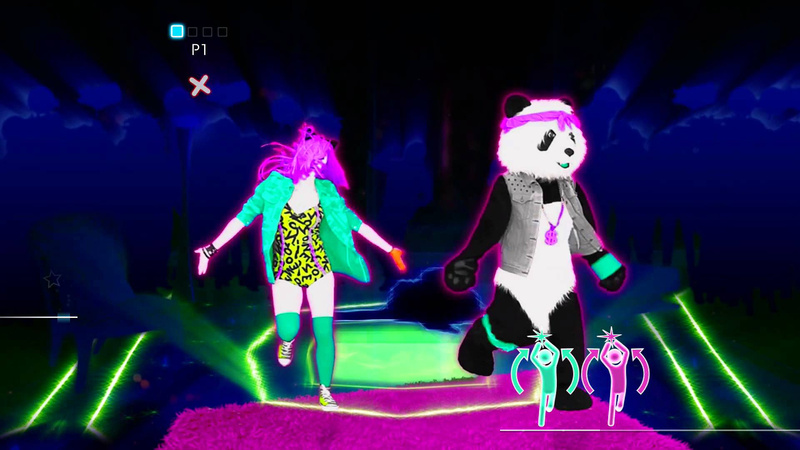 Prepare yourselves for Just Dance 2016 for Wii U. Oh yeah, it'll happen! We know when these delights will come, too. Ubisoft's press conference is on Monday 15th June at 3pm Pacific / 6pm Eastern / 11pm UK / midnight CET. Fingers crossed that some of the creative teams behind gems like Child of Light will get a look in around the blockbusters. We're sure you can't wait. I'm calling it, Just Dance 2016 for Wii. Drop Watch Dogs to $9.99 during the summer sale and we'll talk, Ubi. What they don't know is Wii U owners don't want this waggly crap. Ubi is crap now. I wouldn't be surprised if Just Dance 2016 didn't come to the Wii U. Because of Ubisoft reasons. What ever that maybe. No loss if it didn't. Will they announce Watch Dogs 2 will release on Wii U 6 months after it releases everywhere else? And since we're discussing press conferences, don't forget Square Enix's is the same time as Nintendos Direct. Maybe theyll announce Bravely Default Pi for 3DS. @Stu13 yeah, I never buy Ubisoft games on day 1 since the prices get slashed fast. If the stunning Aisha Tyler is hosting again, I'll watch. Can't say I'm that excited for the games though. Ubisoft taking dancing to the next level once again. Thank you for the amazing innovative games Ubisoft. Maybe if they finally reveal Beyond Good & Evil 2, I'll care about what they present. But beyond that, meh. I usually just catch the footnotes of other non-Nintendo presentations nowadays anyway. Nothing personal, Ubisoft. Oh, I'm like SUPER hyped for this. I mean Ubisoft's been so nice to Wii U owners, right?! @rjejr IIRC, Ubisoft said they will no longer release M rated games on the Wii U. @DarthNocturnal You took my comment, word for word. At this point they have two IP I'm interested in: Beyond Good and Evil and ZombiU. They missed an entire generation with the first, and I believe they flat out lied about the second being profitable, so I don't have much hope that we'll see more of either. A title like "Just Dance" feels so ironic for us Nintendo fans. Aweome, Ubisoft has just won E3. Just Dance is absolutely the best game ever. @DBPirate They also announced that Just Dance is the only franchise remaining on last gen systems. I wonder if that "girlwood" woman is hosting again? A few weeks ago we were in a game store, and I make a passive insult for a Just Dance we saw on the shelves. My guy friend who was with me said he actually liked Just Dance. You know, Just Dance is a fantastic party game. No controller needed, just follow the dance moves. Plus, who doesn't want to dance to Can't Touch This or Gonna Make You Sweat? With a large, white bedsheet and a projector, it certainly made my graduation party a hit with everyone. I think Michel Ancel said they plan to launch on next gen (now current gen) consoles (well, and PC)... which, likely means no Wii U. Not that it bothers me much, since I'd probably just get it on PC anyway. But obviously it's a downer that Wii U would miss out. Well, unless Ubisoft keeps staying stupid, releasing games before they're done. Those AC Unity screenshots... shudder. The thing is, I like dancing. And I like video games...but Ubisoft puts them together and I can't. I just can't. Sorry, UniSoft. Dance Central Spotlight killed you. ...I'm done with Ubisoft, so...yeah. These are fun and harmless games and I hope everyone who wants it on WiiU can get it. I will most likely pick this up. Eh i could care less about Ubisoft until they make a new Prince of Persia game. Ubisoft have made some games I have really enjoyed (Rabbids 1, Rayman, ZombiU) and I'm disappointed they've moved away from the Wii U now. But, with so many rehashes of already existing games, I'm not sure I'm missing all that much after all. I hope they announce something "proper" new. Might at least have a chance on the NX, eventually. God, I hope Nintendo don't move too far away from what they do well. Bowing to market pressures alone might just break Nintendo for me. Let's Dance this into a landfill. The last game I bought from them was Child of Light. It was great and creative. Just dance and forget this IP. like i care about Just Dance XD ... i'll take Wii Fit U or Guitar Hero Live anyday, so good day ubisoft! If it's only just dance I'm going to pass. That series has never appealed to me. I don't like Just Dance. I will still watch it though because there is a chance that they will announce something on a Nintendo platform.Unlike EA,which I am going to skip. Since we're all just oozing in a positive consensus, I'll join in! @AlexSora89 No, them saying that Just Dance is the only franchise remaining on last gen is in no way a jab at the Wii U. They're saying that they are ditching PS3/360 development except for Just Dance. They're finally moving on. I expect other developers to follow suit soon. That's good. The 7th gen consoles need to be retired. They're holding back 8th gen development. I expect Xbox Live and PSN servers on the 7th gen consoles to end by 2018. Hopefully that isn't a double meaning there, I'd like more than Just Dance to pop up on Wii U. It's rather frustrating, as despite Ubisoft's befuddles and poor dealings, I have been enjoying some of their games as of late. Watch Dogs is an admittedly average game with plenty of flaws, but I appreciated it's concept and had a lot of fun with it. I didn't enjoy it enough to buy it's DLC, but if Watch Dogs 2 were to, by some miracle given Ubisoft's recent sayings, appear on Wii U, I'd likely acquire it. Then there's Child of Light, which is still currently my favourite video game of this generation, and certainly one of my top 20 favourite video games of all time. I've seen other games made by UbiArt and they've all been rather fantastic, so I'm hoping any future instalments of the Child of Light series, and UbiArt games in general, don't pass by the Wii U. Anyway, my main focus for E3 will be watching the main three shows of Microsoft, Sony (even though I lack a PS4, I can use this as a chance to try and find Birthday and Christmas presents for my brother that does), and Nintendo, but if I get some spare time I'll try and see about watching all the other conferences/shows taking place at E3, including Ubisofts. Short of Beyond Good and Evil 1 HD with 2 as a WiiU exclusive I don't really care about what they have to say. I saw the ad for the new AC and it hit me that I don't care...it was like seeing madden 16 to me. This is from a person that used to buy these religiously. Ubisoft has the most tacky press conferences. But I don't blame them for going where the money is. Their other games - such as Zombi U - didn't reach sales projections, despite being a game that a full third party effort was put into and not a watered down port. That soured them on Wii U support and then the Rayman and Watch Dogs fiascoes happened which just made everything worse for everyone. Just Dance is a big seller on Nintendo systems. It sold the most on the original Wii last holiday over all systems - landing even in the top ten many weeks leading up to Christmas in North America - and the Wii U version also sold the highest of the current generation versions. I wished for more out of them, but then I don't blame them for going where the money is. To be honest, Just Dance series is better than Wii Fit U in exergames. Wii Fit U games can feel dull after playing them for a while every day, while dancing game is just fun and a good way to learn some dance moves to show off at Friday nights. There are always more advanced songs and moves to master even though you finish songs with the easiest moves. Nevertheless, Dance Central Spotlight is just a far more superior product. Who gives a bibidibabidibo about ubisoft I'd rather watch paint dry!